Why work hard to generate money when domain parking takes almost no effort and pays well? Your choice: work on a domain to generate an income or NOT work on a domain and still generate an income. It’s a difficult choice! Domain parking is one method of earning money from domaining. It’s sweet in that it involves comparatively little work compared with developing a website or selling domains, yet can provide a good income. It scales incredibly well, allowing you to profit from thousands of domains, whereas realistically no one could ever develop that many domains. Despite this, many newcomers to domaining have a lot of misconceptions about domain parking. 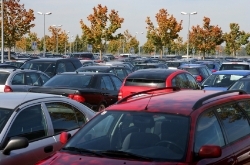 To help, this article covers some of the basics of domain parking. Domain parking is pretty simple, really. You let a parking company display ads on your domain. The parking company normally has a contract with Google or Yahoo! to use their ad feeds. A visitor to your domain clicks on an ad, the advertiser pays Google or Yahoo! ; Google or Yahoo! pay a share of the revenue to the parking company, who pays a share of the revenue to you. After your buy or register a domain, you will need to register with a parking company (and eventually it makes sense to register with several parking companies if you are serious about domain parking). The parking company will tell you how to use their service. Normally, this is through changing your name servers. The parking company will also give you options to target the ads that appear on your domain, for instance, by setting a keyword for the ads. Aaaah. Finally, we’ve run into the catch. Parking companies strictly prohibit you from doing anything that would increase traffic to your domain. Sending traffic to a parked page (for instance, through advertising, link building, etc.) is against all parking companies terms of service. The logic behind this is that Google and Yahoo are trying to get their ads in places where they don’t already control the traffic – not recycling traffic that already exists. Parking is for domains that have pre-existing traffic (normally through direct navigation). This normally means generic dot com’s and generic ccTLDs, typos, and domains that were once websites. The key to success in making money from parking is owning domains that get natural traffic. Without the traffic, there is, well nothing. Parking isn’t about getting traffic to domains – it is about monetizing pre-existing traffic. To make money from parking, you need to research buying domains that already have traffic (by using various tools available, such as Alexa, Google external tool, etc). Tip: If a domain doesn’t get traffic, there is no sense in parking it. In fact, I would generally recommend against it, as parking a domain can increase the chances of a UDRP happening if the wrong ads appear on your domain. Yes, that list above is somewhat overwhelming. The best way to do this is through trial and error. For someone just starting out, learning the ropes, and with only a few domains, Sedo may be the place to start parking. Park your domains there for a couple of weeks to get a baseline for performance. Then, you can play around with keywords and altering layouts to see if you can increase revenue. After that, you can move your domains around to other parking companies to compare performance. Different parking companies have different strengths. For instance, NameDrive does well for my .uk domains and I’ve heard that they are good for a lot of the European ccTLDs. Sedo is reputed to pay well on adult domains. This boils down to trial and error. Look at keyword lists to find out what keywords pay best in your domain’s niche. Try different ones out to see if that makes a difference. As well, each parking company also offers different layouts for your parked pages – different ones work best for different niches. Test them out and see what works best for your domain. Also, move your domains to another parking company. Some parking companies perform better for some niches. Finally, if you earn enough money from parking, you can always approach your parking company and ask for a larger revenue share. From everything I have seen and heard, there is a strong downward pressure on parking earnings. To a certain extent, you can offset this by aggressively testing and moving your parked domains to better layouts and to parking companies that convert more effectively, as well as negotiating higher revenue shares. A lot of people seem to think that parking revenues are declining because the parking companies are getting greedier. While everyone wants to earn more money, myself included, I think that the parking industry is far too competitive for this too happen. People can — and do — switch parking companies all the time. There are simply too many alternatives available for any parking company to start getting too greedy. Rather, the revenue downturn is likely due to other factors, such as Google and Yahoo! paying out smaller shares to the parking companies, the general bad economy, and the fact that advertisers can now opt out of advertising on parked pages. There is a lot of commentary in the blogosphere about domain parkers being evil, useless, lowlifes. Actually, come to think of it, there is a lot of commentary in the blogosphere about domainers being evil, useless, lowlifes. However, even many domainers claim that parked domains are useless and the general public does not like them. My developed websites get a 5 to 10% click through rate on the ads and my parked pages get a 50% plus click through rate. From that, it seems to me that people are finding what they are looking for on parked pages. The fact of the matter is – the traffic is already coming to the parked pages. You have a choice of showing your visitors nothing, or parking the domain and giving your visitors what they are looking for. How that can be evil is beyond me. As well, parked pages provide more choice to consumers – they can choose from several companies offering what they want, versus just one company if a website were there. In real life (is there such a thing?) people pay good money for publications like Autotrader, which are not much more than a bunch of ads. Is Autotrader evil? I certainly never heard anyone make that claim. Claiming that putting a version of that online makes it evil smacks of jealousy to me, more than anything else. Most, if not all, facets of domaining are high risk, potentially high reward, and domain parking is no different. I think that the key to being successful with domain parking is to choose domains that have the largest amounts of type in traffic (well, that and obviously buy the domains for a good price). If you do that, you will weather favorably any changes that happen to domain parking. The fact of the matter is that regardless of what happens to domain parking, your targetted traffic will still be there. That traffic is valuable and won’t go to waste – new ways will spring up to monetize it. Very nice article with good details. Sorry to rain on your parade but I had to check the date of this blog post to be certain it was published today. You are several years late with this. Have you not been following what has been happening? Google terminating Parking company feeds. Google to essentially kill domain Parking as we know it. Domainers selling their domains sometimes their entire portfolios. The result of this turmoil is a move to development. Parking can no longer be relied on. A good introduction to an issue that every domainer will experience when they own more domains than they have the time to develop. I’m in this position with a domain name portfolio of more than 300 domain names and I might give name drive a try as I own a lot of .uk domains. I suggest that domainers use parking to help them select which of their domains to develop into mini-sites or larger authority sites – those domains that produce a lot of parking revenue will do even better when developed. @ Patrick – I agree with development, but there is simply no way to develop hundreds or even thousands of domains into websites (or even mini-sites). Yes, parking is getting tougher, which is why quality of domain and quality of type in traffic is becoming more important. Others will pop up, I’m hoping. @domain communer – To a certain extent you’re probably right, but I think that the impact will be small. The mindset of someone directly typing in an url is quite different from the mindset of someone doing a search in Google. If someone wants to type in a specific url, I’m not sure making suggestions about search terms is likely to change this. Be careful with Sedo and NameDrive. If you’re pushing volume through the parked page, click-through is high, and conversions are low, both companies will close your account and withhold payment. See Terms and Conditions. Users beware. @Rob – most parking companies are vigilant about this sort of thing. They have to be, otherwise they themselve would get into problems. Funny, I just asked a question about where parking visitors come from in another blog. I am a lot clearer now but not completely. If type in traffic is the main vehicle why would Keywords and change of parking company make any difference? You said the parking companies get feeds from big advertisers such as Google and Yahoo. Would this assumption be correct that the parking company itself decides how to direct the visitors via links or some other method? Also, the same domain that gets a few visitors a day as a parked page had a mini-site before and it did not receive a single visitors in months. How could parking with Sedo change that so abruptly? Keywords affects the amount you get paid per click – if a visitor is clicking on a high paying keyword than you will earn more than if a visitor is clicking on a low paying keyword. Parking companies have different payouts. Some do well for certain keywords. Layout will also affect how likely it is for a visitor to click on an ad. Parking companies don’t direct traffic to sites, and normally you aren’t allowed to direct traffic to your parked pages as well. Re the Sedo and minisites, Sedo may just have been tracking a few bots, rather than human visitors. Sedo isn’t sending any traffic. There is now a solution to all of this. If you own a domain portfolio and want to develop your sites but don’t have the time or money to do so, you can use the new service at ParkingRevolution.com. For only $15 per month, you can bulk upload your domains, associated keywords and BAM! !–you have incredible websites with up-to-the-minute news, photos, blogs, videos, articles, products and more–for each of your domains. Monetize with Google, eBay, and affiliate programs. The admin panel is easy to use and very intuitive. For example, an 18 year old came to me and said that he loves hip hop music and wanted to start a website, but new nothing about programming. I told him about ParkingRevolution.com. Within 10 minutes, he registered HipHopConcertNews.com and set up his ParkingRevolution.com account. Then, in a matter of minutes, he set up HipHopConcertNews.com. He added Google adsense and joined a few affiliate programs that made sense. Bottom line…he has realized his dream and is now the proud publisher of his own website. I also have a ton of domains. Many of them were just sitting in my portfolio doing nothing. So, I set up a few ParkingRevolution.com websites. You can check out a few of them at ObamaNews.us, Daters.info, DerbyPlayers.com. As for SEO, ParkingRevolution.com gives you the tools to optimize all of your domains so that they get great exposure. If anyone wants more information on my experience with this great tool, please don’t hesitate to email me at david@sams.tv. WOW! this is a very comprehensive and detailed entry on domain parking. It’s better to develop sites if you have the time and energy but I guess domain parking is an easy solution, which seems to be adopted by many. Thanks a lot for the share. Auto Trader is fine. When I want to see ads for something, I go to craigslist or eBay, or other places that list ads. I think the perception of domain parking is more like going to the store and picking up a copy of a magazine you like to read (pretending there’s no cost involved) and getting home only to realize it’s an Auto Trader magazine with a fake cover making it look like the magazine you wanted. And it’s got pop-under ads. What I do is putting my site in and out of parking say parking only on weekend. That way you can SEO, direct traffic etc without breaking any rules. Great article, thanks for the great information. You can monetize the site with any script or service you want and keep all of the money. They drip feed relevant keyword targeted blog articles to your site on a regular basis to keep the spiders coming back.